Pediatric ophthalmology is a subspecialty of ophthalmology that deals with diseases and conditions of the eye in infants and children. These conditions include: congenital glaucoma, congenital cataracts, infections, strabismus (wandering eye), amblyopia (lazy eye), and ptosis (drooping of the upper eyelid). When left untreated, these conditions can become quite serious, but with early detection and treatment, vision can be corrected and preserved. It is recommended that all children have their vision checked by their pediatrician, family doctor, or ophthalmologist before their fourth birthday. If any problem is detected, the child should be referred to a pediatric ophthalmologist for a more specialized eye exam. Most serious eye problems that affect children can be diagnosed during an eye examination by a pediatric ophthalmologist. Most eye infections are cleared up with antibiotic drops, although occasionally serious infections around the eye require an oral medication. Strabismus is a condition in which the eyes are not perfectly aligned. A child with strabismus can be “cross-eyed” (esotropic) or “wall-eyed” (exotropic). Some types of strabismus may be improved through the use of corrective lenses; other types may require surgery to reposition the muscles that move the eyes. To correct amblyopia (lazy eye), a patch is placed over the strong eye to help strengthen the weak eye. Occasionally eye drops are used to blur the vision of the strong eye to cause the child to use the weak eye. Glasses may be prescribed to correct errors in focusing. Ptosis, or drooping eyelids, in both children and adults can be treated with surgery to improve vision as well as appearance. 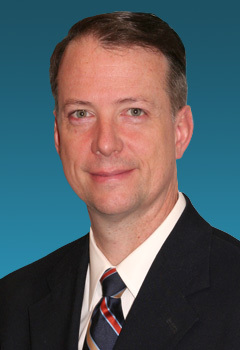 John Donahue, MD, Ph.D., specializes in pediatric ophthalmology. Dr. Donahue also treats cases of adult strabismus. Call us at 401-272-2020 in our Providence office for more information or to schedule an appointment.